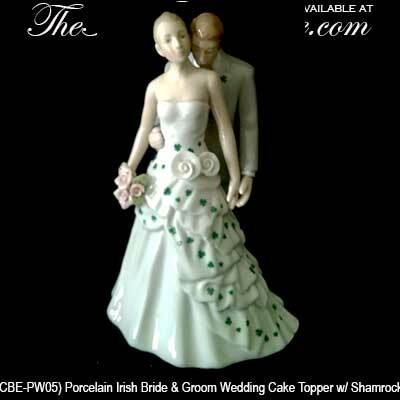 This Irish wedding cake topper features a bride and groom that are enhanced with shamrocks. 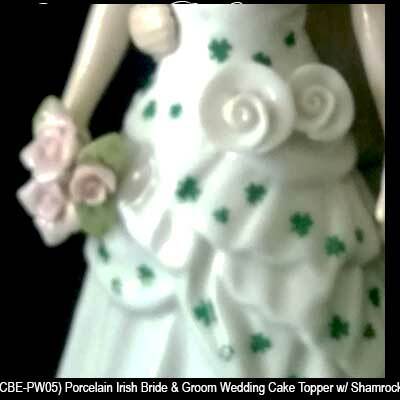 This Irish wedding cake topper features a bride with green shamrocks on her flowing white dress and a groom with a shamrock boutonnière . 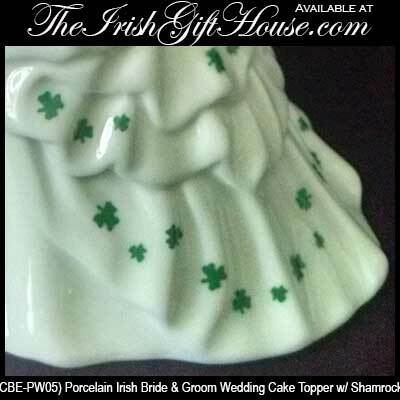 The porcelain design measures 3 5/8" wide at the base x 5 3/4" tall and it is gift boxed with a shamrock history card that is complements of The Irish Gift House.